There is hardly anyone who can resist chocolates. Chocolate is another name for happiness. They can lighten up one's spirit. So go ahead and Send Valentine's Day Chocolates Online from MyFlowerTree and show your loved one that you truly adore them and know exactly what they would like to have as a perfect gift. Love is a sweet sentiment. But guess what makes it sweeter. It’s the expression of your love that plays a role in making your bond sweeter, stronger and most definitely, lasting. With Valentine’s season round the corner, you might find a thousand ideas to express your love. However, there are a few ways that never go out of style. For instance, gifting someone as sweet as Valentine chocolates can never fail. They are bound to make a person smile. 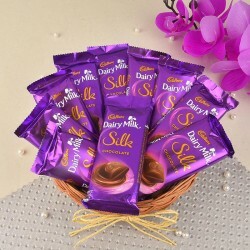 So, this Valentine’s Day, infuse immense sweetness in your relationship with best Valentine’s chocolates especially dedicated to your dear ones. 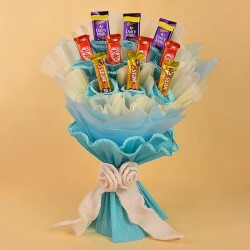 Not only they will tickle the taste buds but will also make sure that the sweet memories of your thoughtful present linger for a long time to come. 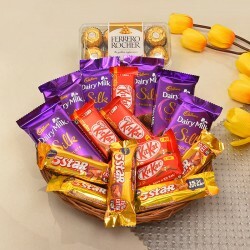 While giving chocolates on a usual day will make your dear one’s day special, gifting scrumptious Valentine chocolates during the love season will ensure that you convey not just your love and liking but also your efforts. The love for chocolates is universal. Young or old, everyone happens to be a chocolate fan. 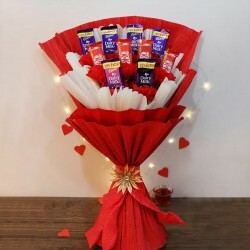 So, make your first love move by presenting your dear one a hamper of Valentine chocolate gifts from MyFlowerTree and it is sure to make the person feel special. Choose from the wide assortment of chocolate hampers for Valentine’s from our portal and be all set to sweeten your love bond. 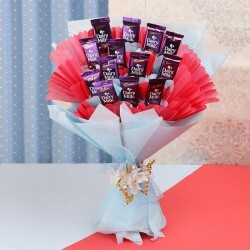 Ranging from Cadbury’s love gifts to customised chocolate bouquet for Valentine’s Day, heart shaped chocolates to chocolate combo with flowers and teddies, find scintillating Valentine’s gifts at MyFlowerTree that are sure to impress. 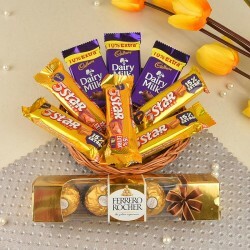 Some of our popular chocolate gifts online include Assorted Surprise, Dart Of Love, Tiffiny Box and so forth. Define your love for your soulmate, family and friends with the right choice. MyFlowerTree brings you thoughtful Valentine’s Day chocolate gift collection to add sunshine to your near and dear one’s day. Our every combo is carefully designed to suit all your gifting needs during the Valentine season and other occasions of love. MyFlowerTree gives you an option of ordering Valentine’s Day chocolates online no matter which part of the world you reside in. Whether you are near or far from your dear ones, a few tap of your fingers can bring a smile to someone dear who lives in India. Save yourself from the hassle of rushing to the store for finding the perfect Valentine’s chocolates. 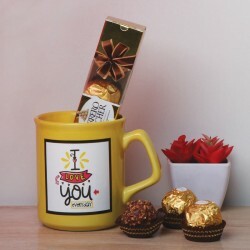 While the shops are flushed with expensive hampers, MyFlowerTree gives you an option of choosing the best Valentine’s Day chocolate gifts online as per your budget. Our competitive price and deals are sure to save you from spending thousands at shops where you would get limited options. Sit back, relax and we shall help you pamper your dear ones with the customised Valentine’s chocolates like “I Love You” or “You’re Simply Best”. Not just this, we also ensure that your love-filled gift gets delivered at the time you plan. Whether you plan the the same day delivery or midnight delivery of your Valentine’s gifts, we are sure to make an on-time Valentine chocolate delivery to your special one. Planning an extravagant surprise? We are here to solve the purpose. 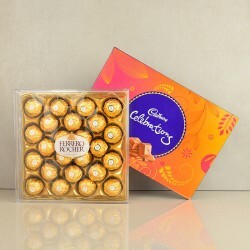 Gift imported chocolates or Ferrero Rocher tower to make your surprise a token to be remembered forever. So, why wait? 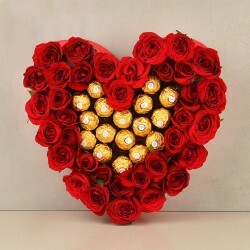 Order sumptuous Valentine’s chocolates online from MyFlowerTree and create moments of love like never before. Products in this category have been rated 4.5 out of 5 based on 114 reviews.